New stats show over 75,000 Israelis achieved academic degrees in 2014, five times the number who graduated in 1990. Over 75,000 Israelis achieved academic degrees in 2014, five times the number who graduated in 1990, the Central Bureau of Statistics said Tuesday. The degrees were given at Israeli universities, colleges, and academic training centers. Of the total, an impressive 42,000 – 55.9% - received their degrees from universities, while 24,700, or 32.9%, were granted degrees from colleges, which operate three and four year programs under the auspices of universities. Two thirds of the degrees granted in 2014, the CBS numbers show, were first degrees such as Bachelor of the Arts, with about 51% of those granted in the humanities or social sciences. Of those, about a quarter were in architecture and in psychology/sociology, while a fifth were in management studies. About 60% of the degrees were granted to women, the statistics show. Of the 21,800 graduate degrees granted, some 60% were in business and management, with most of the rest in the social sciences. The CBS statistics showed that 1,500 Israeli graduates went on to doctorates and other third degrees, three times the number of those who achieved those degrees in 1990. 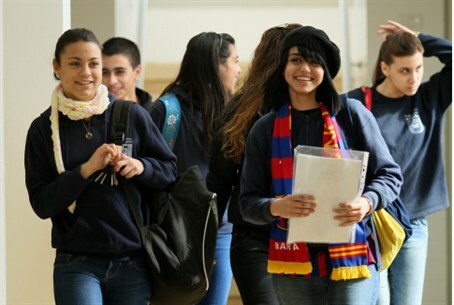 About one tenth of the overall graduates were Israeli Arabs, with about 20% of them attending college programs. Among Arabs, the most popular fields were medical related, including nursing and other allied industries. In addition, Arabs were a large presence in pharmaceutical training programs as well.